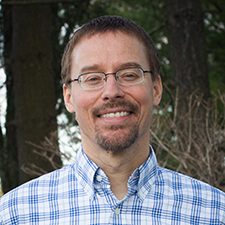 Don Everts is the content development manager in the United States Ministries division for Lutheran Hour Ministries. A poet and preacher at heart, Don speaks at conferences and churches across the country inviting skeptics and believers alike to gaze at Jesus and be thrilled. Don spent the last 10 years working in the local church and the 14 years before that working on college campuses with InterVarsity Christian Fellowship. Whether in the church or on campus, Don has walked with non-Christians as they discover the person of Jesus and has worked with Christians in being able to fruitfully do the same in their own relationships. An accomplished author, his 16 published books include I Once Was Lost, Go and Do, The Smell of Sin, and Jesus with Dirty Feet.